Kenny Chesney's foundation, Love for Love City , was established to funnel donations to the U.S. Virgin Islands because of the damage caused by Hurricanes Irma and Maria. Kenny Chesney also wanted to do something about all the pets that were abandoned by their families who fled the islands as the storms approached. Over a 1000 Chesney Dogs are now ready to be adopted at Big Dog Ranch Rescue. Big Dog Ranch Rescue is not like any other no-kill shelter you've ever seen. There are no cages and dogs share 12 by 12-foot rooms with a couple of roommates. Here they are rescued and rehabilitated both physically and mentally and only then are they ready for to be put up for adoption. 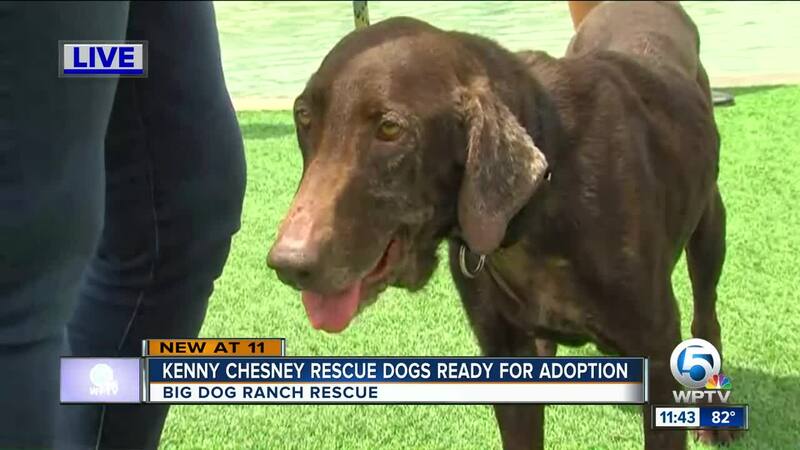 Several of these dogs were saved by Country Super Star Kenny Chesney. "We got a phone call from Kenny Chesney and his tour manager Jill Trunnell and said we really need help with the abandoned animals in the U.S. Virgin Islands," says Lauree Simmons, Founder and President of Big Dog Ranch Rescue. Kenny paid for the plane and the boats to get [the animals] over here safely to Palm Beach County," says Lauree. While some of the dogs were put up for adoption right away other Chesney dogs need medical and mental care. 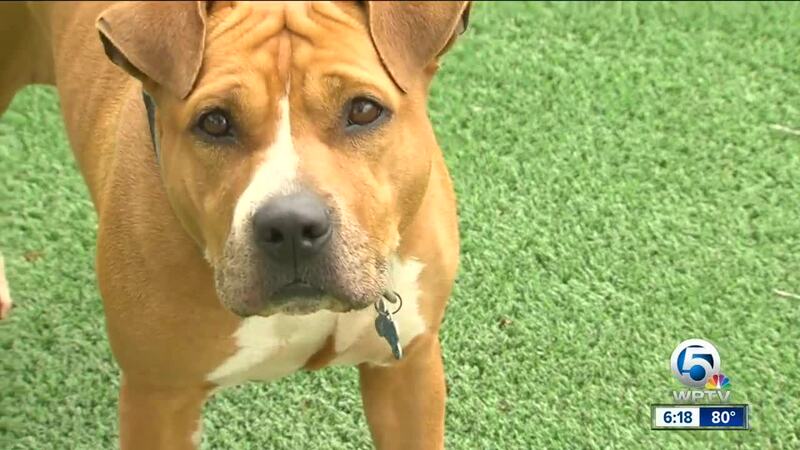 "Many of them had heartworm disease. Which takes a lot of money and three months to treat," informs Lauree. But Thursday night, when Kenny Chesney takes the Coral Sky Amphitheater stage, something special is going to happen. "Kenny has shot a documentary on all of our animal rescue efforts and he is actually going to show on screen all of our animal rescue efforts," Lauree says gleefully. I wondered how it made Lauree feel now that Big Dog Ranch Rescue is a part of a national tour. "We are just so appreciative that he jumped in to help us because without Love for Love City, and Kenny Chesney and Jill we wouldn't of been able to save these innocent lives," says a teary-eyed Lauree.